This article has been taken from a Spanish blog. Read it in Spanish here. Several times if our system is affected by a virus, when trying to open USB (hard drives, external disk, MP3, etc), we can not get access. The disk seems to be locked. 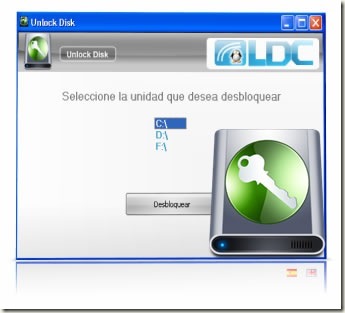 To solve the problem is “Unlock Disk” program is designed to liberate and free unlock storage units, when a virus or a program, this device is locked, preventing access. Unlock Disk utility is designed to release and unlock storage units such as hard drives, external disks, USB sticks, MP3, and much more, if for any virus or a portable device that is locked, preventing access. Just select the drive that are detected automatically and click unlock reboot your PC and the problem resolved.